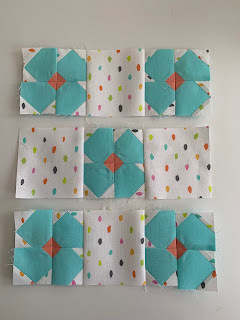 *optional spray starch but I highly recommend it! 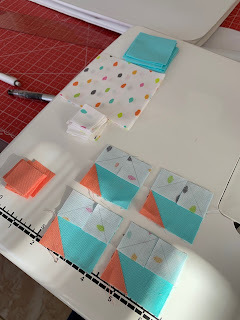 -Using the grid ruler and marking tool of choice, draw a diagonal line on the wrong side of each Flower Center square. 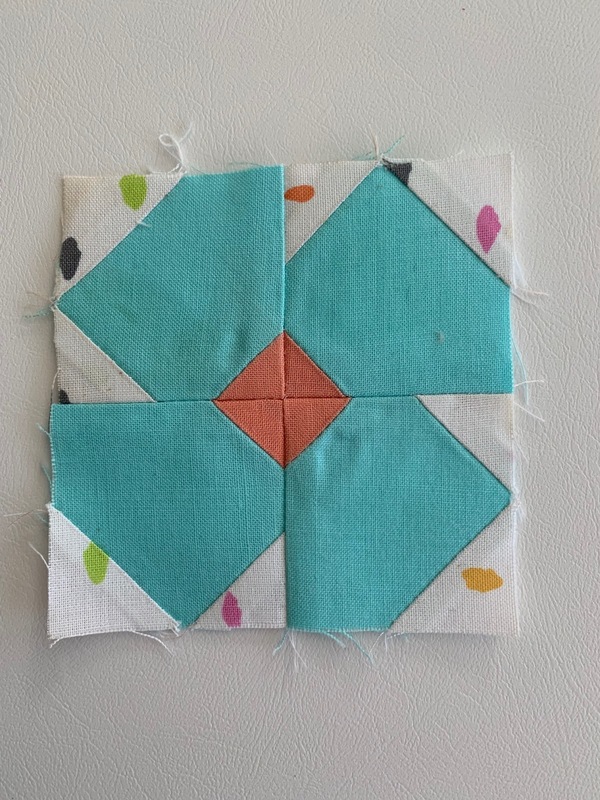 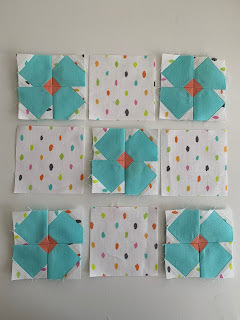 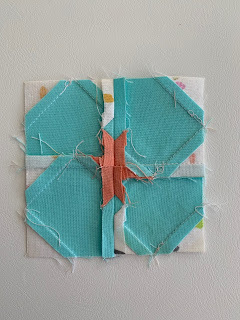 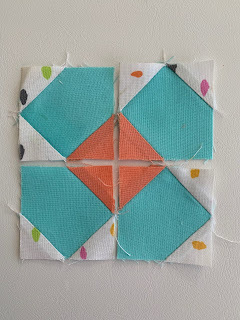 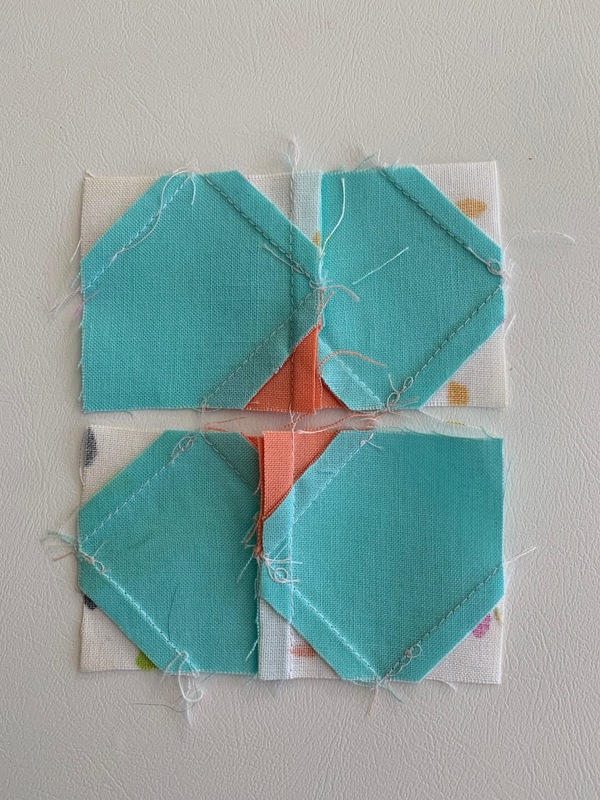 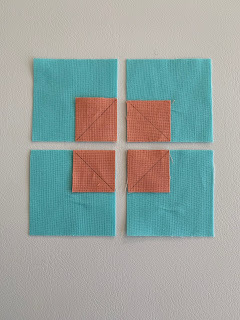 Using the photo below as a guide, with right sides together, align the center squares in the corner of the Flower Petal squares; stitch directly on the line. 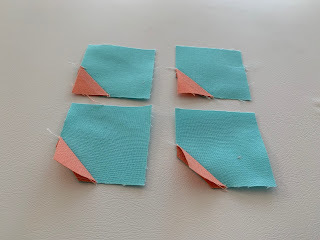 Press seams, then trim seam allowance and press seam towards the darker fabric. 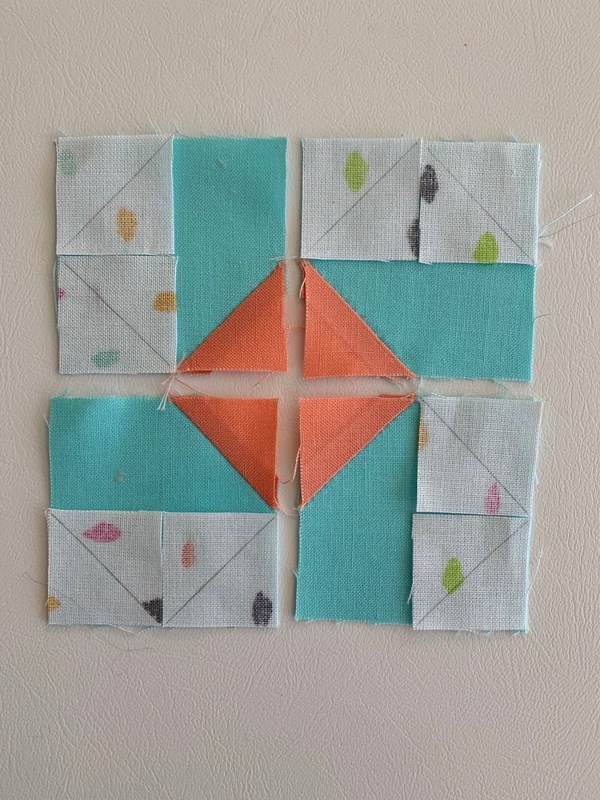 Once you've done this, spray the square lightly with spray starch and press again. 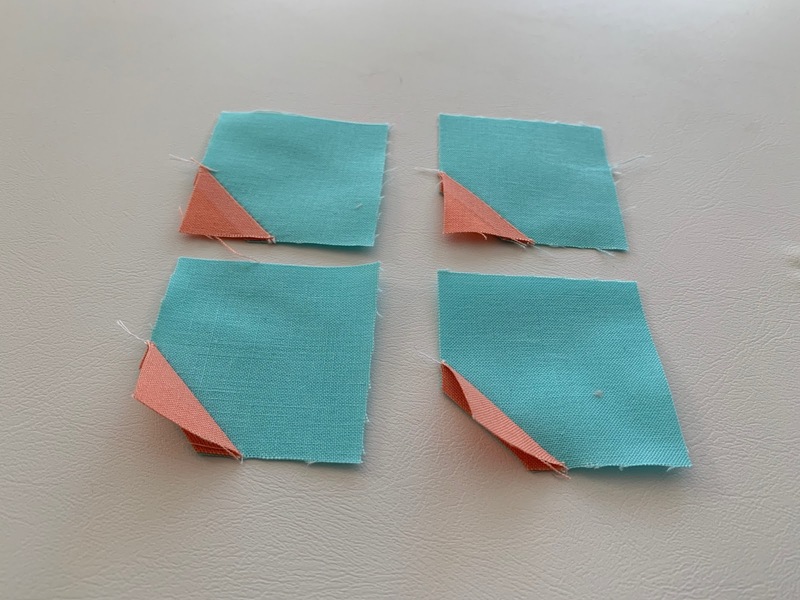 Not only will using spray starch give you a flatter piece of fabric to work with, it increases accuracy by helping to prevent stretching, bunching and shifting under the foot by giving the fabric stability. Next, on the wrong side of the fabric, draw a diagonal line on the back of each 1" background square. 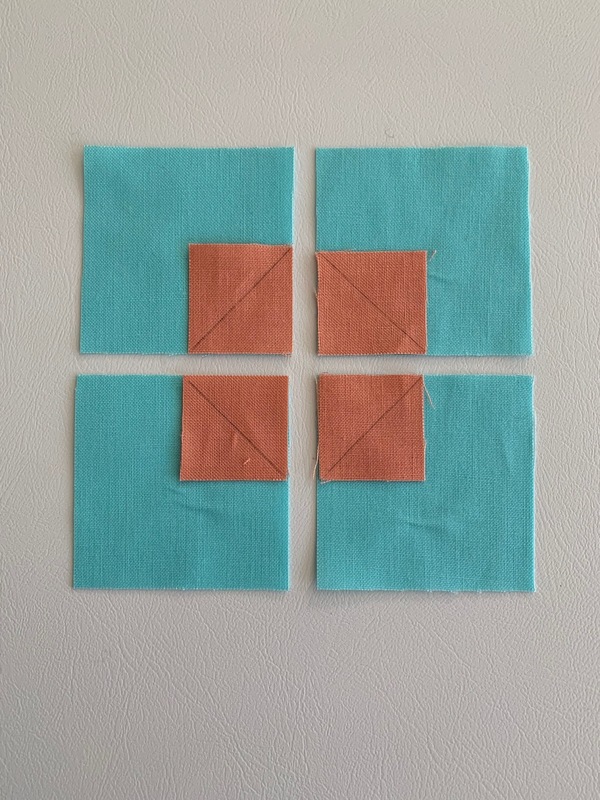 Use the photo below as a guide to align these pieces, right sides together, with the Flower Petal squares. 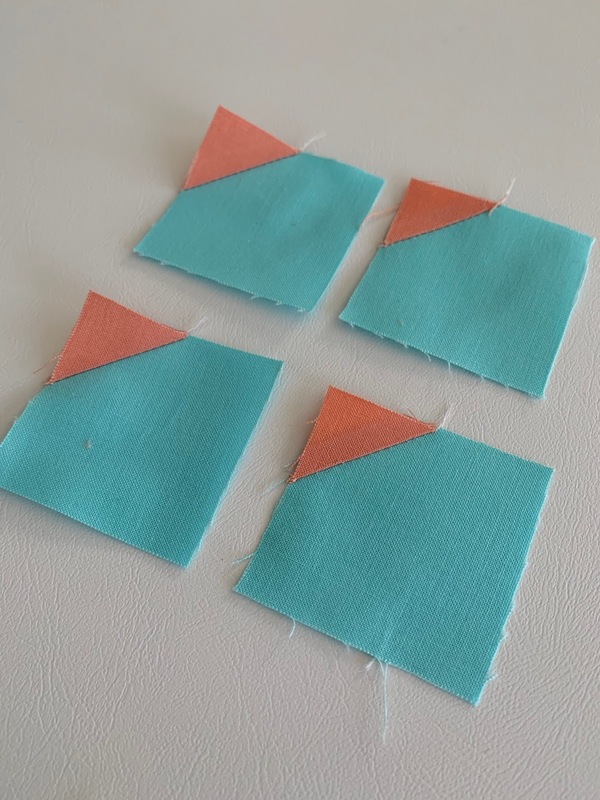 Sew directly on the line; press seam line, trim seam allowance then press seam to the side. 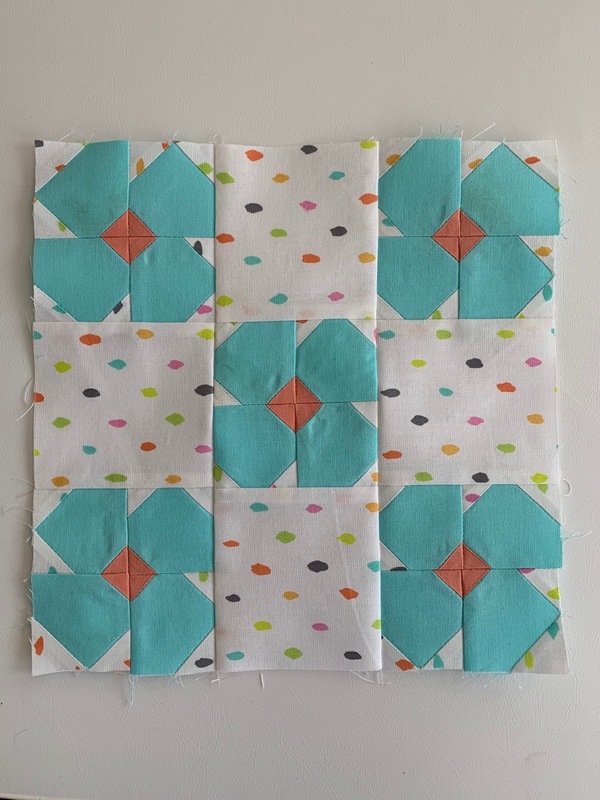 Press again with spray starch, if using. 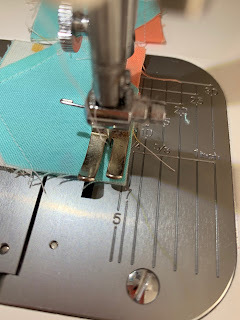 Sew the top and bottom center seams; press seams in opposite directions so you can "nest" them together when sewing the middle seam. Press middle seam open to help it lie flat. 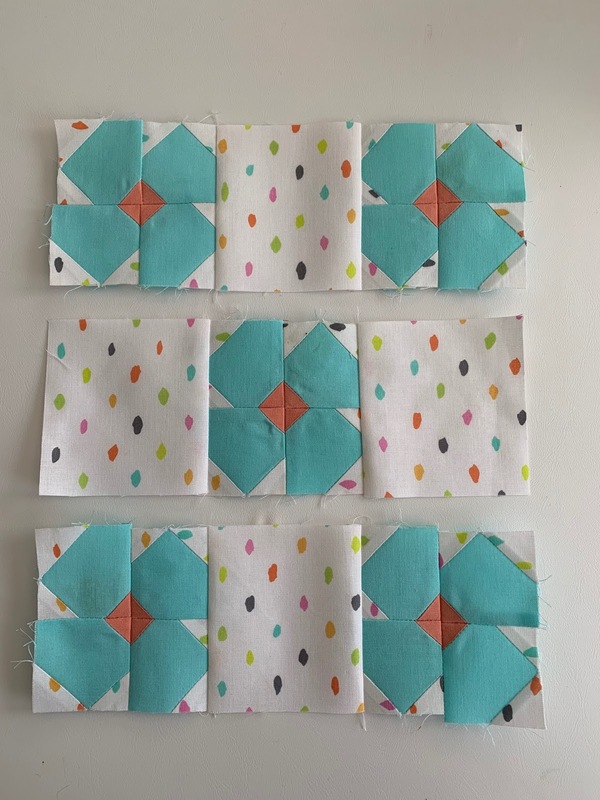 Give the block one final press and you're done! 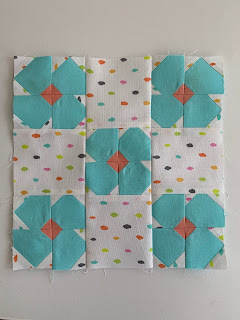 This block is meant as an alternative for the March block in the Gnome At Home Block of the Month. For more information about Gnome At Home, click here.